Home buyers should already know they need to establish the best possible credit rating. FHA loans provide great assistance to many first time home buyers by offering mortgage loans with lower down payments. FHA loan rules apply for all borrowers when it comes to basic minimum credit standards. 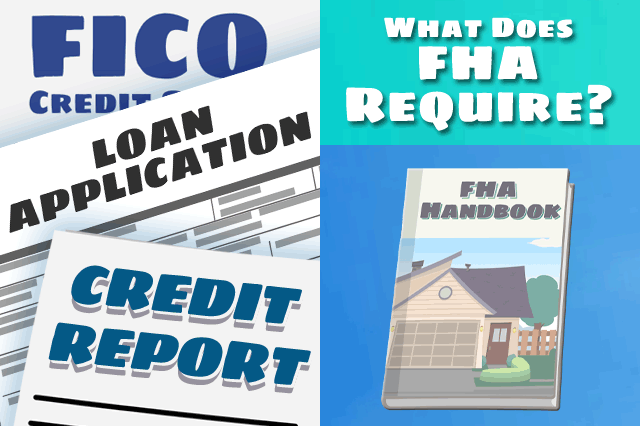 The FHA loan requirements that will affect your transaction include FICO score rules, down payment requirements, and the basic terms of your mortgage. You cannot be rejected for an FHA home loan on the basis of factors that have nothing to do with your financial qualifications, employment, income, being an owner/occupier, etc. A home may not be suitable for an FHA loan, a borrower may be denied the loan because he or she doesn't intend to live in the property as the primary residence, or because of factors that affect the economic life of the property. FHA loans provide great assistance to many first-time home buyers by offering mortgage loans with lower down payments. While this is a benefit for many people, recent changes in FHA Loan credit requirements may have put the loans just out of reach for some would-be homeowners with questionable credit history. 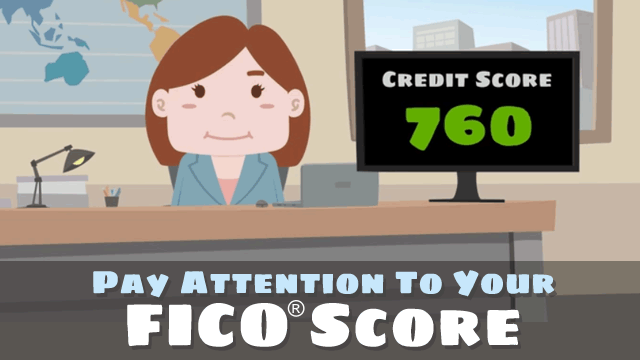 What FICO® Score Do I Need Buy A Home? Do FHA Loan Requirements Apply to All Borrowers? Homebuyers looking to take advantage of great FHA loan benefits should already know they need to establish the best possible credit rating. FHA loan applicants with a better credit rating increase their options for mortgage or refinance loans. 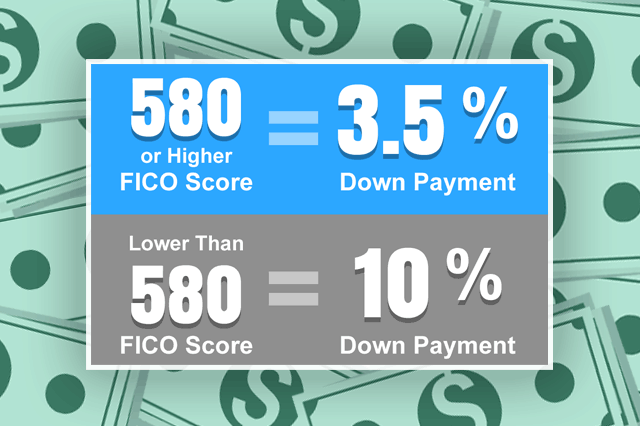 In order to qualify for the low 3.5% FHA loan down payment, applicants will need a FICO® score of at least 580. Those that don't meet that criteria will have to put a down payment of 10% on the mortgage they want. Are My Tax Returns Required for an FHA Loan? If your credit is less than solid, consider delaying your home purchase and work on improving their credit scores. Applicants who have a minimum credit score of less than 500 are not eligible for FHA mortgages. While FHA loans are a great option for people buying a house, applicants can make the process even easier if they take steps toward ensuring their credit history is in tip-top shape. FHA advises prospective home buyers to approach the loan process with their best possible credit history to eliminate any potential risk of not qualifying. What Should I Know About Applying for an FHA Mortgage? 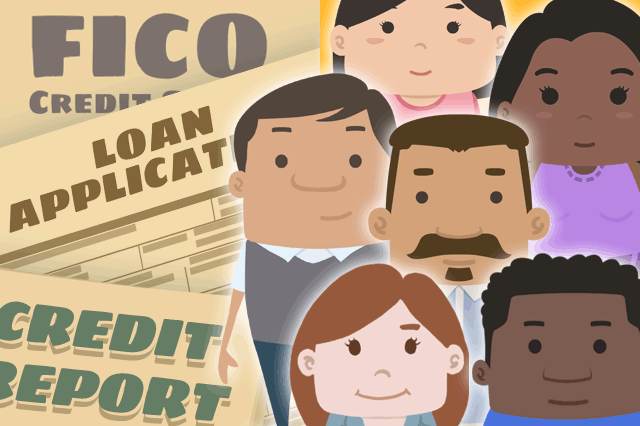 Some borrowers who want to apply for an FHA loan find their applications held up by problems with what is on their credit report. Take proper steps to check the accuracy of your credit report with Experian®, TransUnion® and Equifax®. 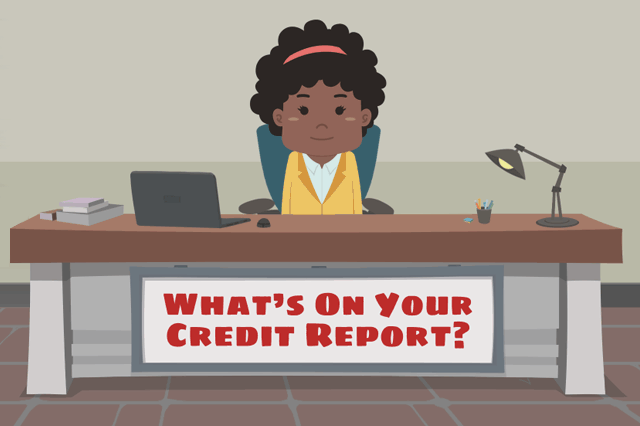 Once you've gotten your report from the three bureaus, carefully examine your credit history for anything out of the ordinary, such as unauthorized loans taken out in your name, incorrect late payment records or anything that seems questionable, no matter how minor you think it is. Now more than ever, it is crucial to pay close attention to your credit reports due to elevated security breaches, hacks, and security compromises. No major corporation is immune to these attacks-including the credit reporting agencies themselves. We've listed a timeline of some of the most headline-grabbing hacks reported in recent years. 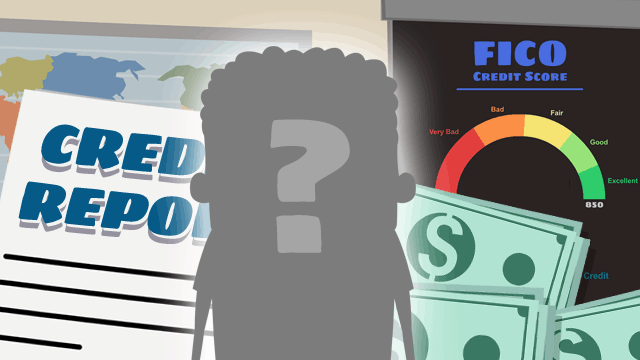 Remember, these are only SOME of the incidents you may have heard about; each one is a good example of why it pays to continuously monitor your credit. March 31, 2019 - What does a house hunter need to know about making the transition from being a first-time home buyer to being a first-time home owner? One important area is your ability to refinance and why you might choose to do so. March 24, 2019 - Did you know that the VA offers a One-Time Close construction loan similar to the FHA One-Time Close loan? The VA version of the One-Time Close loan allows qualified borrowers to finance both the construction and the permanent mortgage at the same time. March 21, 2019 - FHA home loans require the lender to verify income and employment. If you are an experienced house hunter or a first-time home buyer, you may have questions about this process where certain types of income are concerned. March 20, 2019 - The home loan is a major investment, and lenders are required to exercise due diligence in making sure the borrower’s financial data is accurate and meets home loan approval standards. Reviewing your tax returns shows the lender the exact nature of income and employment. March 18, 2019 - Borrowers who receive disability payments may want to have those payments considered for real estate loan approval, but what is the FHA standard in this area? If your disability income has no expiration date you may be in a good position to have that income considered for your mortgage.